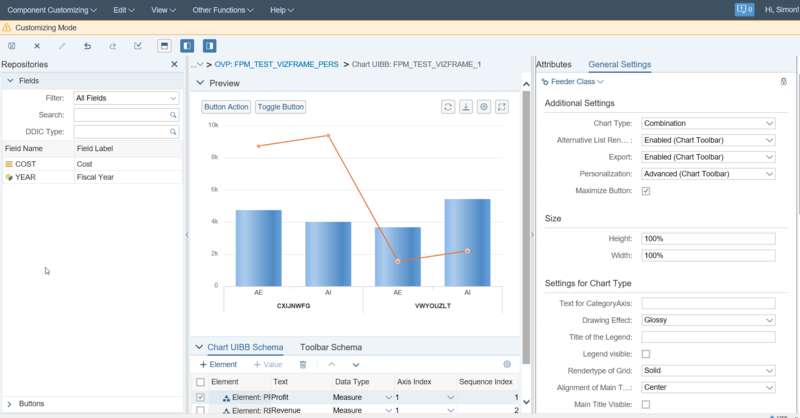 As announced in the SAP Help Portal we offer with NW SAP_UI 752 a new Generic UI Building Block for displaying charts that is based on the SAPUI5 control sap.viz.ui5.control.vizframe. This control offers 41 different chart types with a variety of different settings, see the corresponding Chart Properties Reference. The new VizFrame UIBB is being exposed with Web Dynpro component FPM_VIZFRAME_UIBB. As an application developer you can rely on the same ABAP APIs and data model as before. Thus, you can re-use your existing Chart UIBB Feeder Classes. 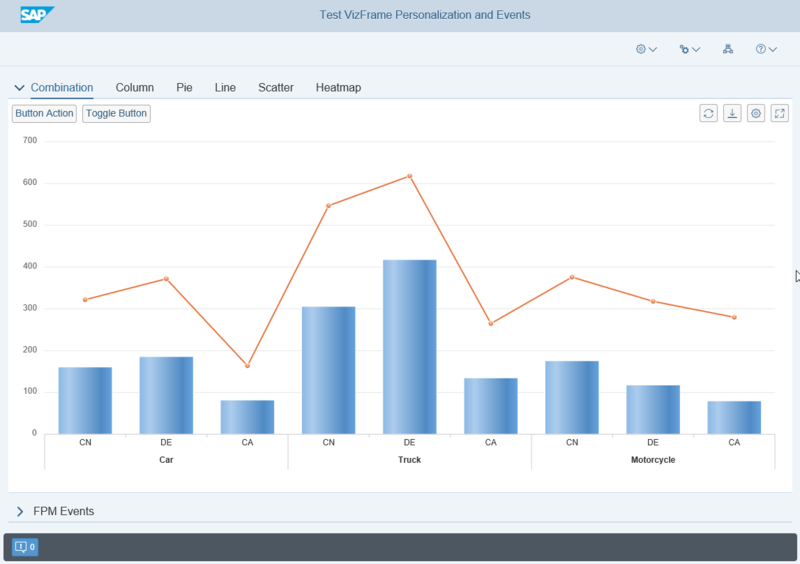 Create new VizFrame UIBB configurations on the basis of existing Chart UIBB configurations by using the application FPM_CFG_CONV_CHART_TO_VIZFRAME. In the configuration environment (FLUID) you can easily try different chart types. Add, change, remove measures or dimensions, and apply different chart setttings and CSS colors.